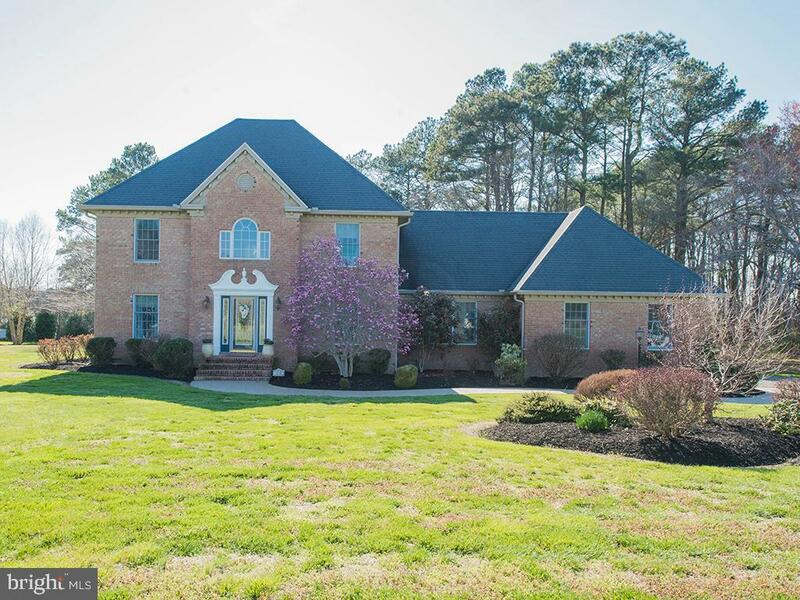 All Princess Anne homes currently listed for sale in Princess Anne as of 04/21/2019 are shown below. You can change the search criteria at any time by pressing the 'Change Search' button below. If you have any questions or you would like more information about any Princess Anne homes for sale or other Princess Anne real estate, please contact us and one of our knowledgeable Princess Anne REALTORS® would be pleased to assist you. 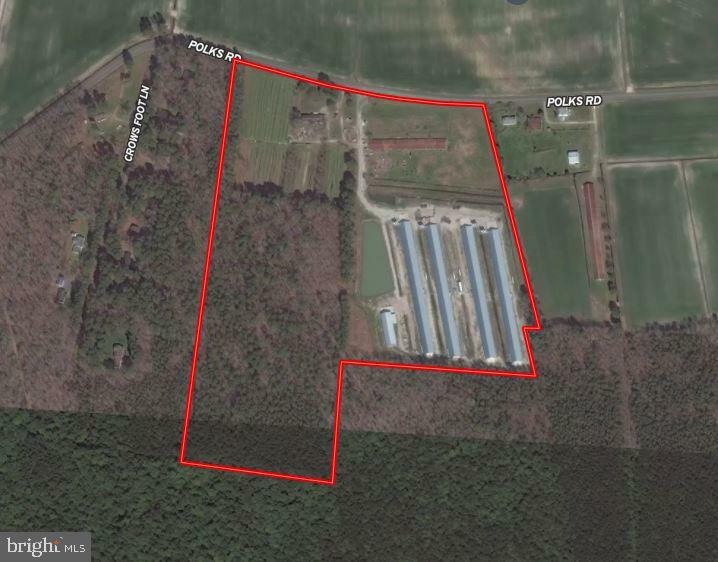 "Polks Road Poultry Farm: Four poultry houses - all 2 years old (46x560) built by Northeast Ag. Total square footage is 103,040. Total acreage for sale is +/- 41.53 deeded acres including +/- 16.5 wooded acres. Growing for Tyson. LOI is transferable upon Tyson approval. Farm includes 1,826 sf farmhouse currently being lived in by tenant farmer. Manure shed with new concrete pad - Roadways recently repaired - Farm has run +/- 10 flocks since built"
"Price Reduced! Video - Search address on YouTube! Fabulous and private best describes this 38 acre waterfront estate. Built in 2009, this 9700 sf plus home offers 7 bedrooms and 7.5 baths, Down and Up Masters with baths, 2 efficiency suites, huge entertainment den with bar overlooking Monie Creek. Fabulous farm and water views from every room with Horse barn/stable and fenced riding pastures for the equestrian! Deep water dockage for a boat up to 70 feet!" "SELLERS JUST DID A HUGE REDUCTION!! Note that Zestimate is inaccurate as property offered is TWO parcels (176 & 239) being sold for a total of 4.83 acres. 2nd parcel alone is assessed at $248,000! Contact listing agent for details. Secluded, never lived in, w stunning views of the Manokin River will welcome you the moment you walk in! 1st flr master includes jetted tub & heated floors for chilly mornings! Bonus room on 2nd floor allows ample leisure space. Brazilian Koa hardwoods & porcelain tile flooring in baths & laundry area add elegance. Attached is a fully finished garage w/ dual 10'x10' doors. Walls are 2x6 for extra efficiency! Included is a 4900 sf pole barn w/ living space & its own septic. Plenty of space to enjoy inside & outside! Come lounge on the covered back deck for views of a breathtaking sunset!" "Check out this beautiful log-cabin home! This property features 3 bedrooms, 2.5 bathrooms with a spacious bonus room and a large pole building! The first level offers an open concept layout with a stunning stone- wood burning fireplace that can heat the whole house through the duct system and there is also an oil furnace (oil drum replaced Dec 2018) to keep you warm in the winter! The kitchen features custom birch cabinets, a built-in desk area, and a wrap around counter top- perfect for a breakfast bar area. Also on the first level is the master bedroom with an attached bathroom. Make your way upstairs to see another full bathroom, two bedrooms and a sizable 27x13 bonus room! 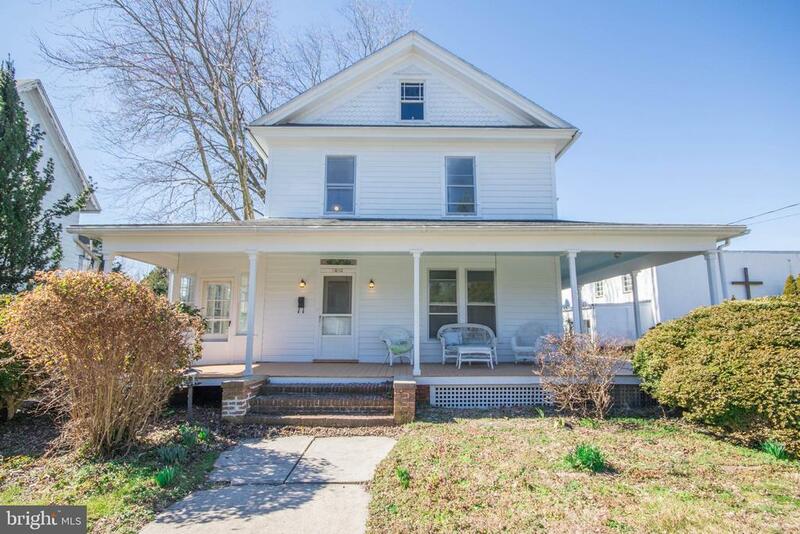 This property also offers an attached garage, a lovely screened in rear porch, a spacious front porch and access to a room where you can store and feed the wood for the fireplace so you don't have to bring it inside the home! Sitting on 65.99 acres this property is the perfect country retreat. There is a pond that can seen from the back of the house. Additionally, the large pole building (50x100) offers heating & air, a bathroom with a shower and a craft room with double sinks! The outdoos space is perfect for hunting and fishing! Lastly, this property is an Ag- Preservation-use has to be farm use. CREP for Trees that are listed in a state registry." "Property has 2,280 ft frontage on Kemp Nursery Rd. Farm consists of 136.8 acres with approximately 70 acres cleared farmland and balance in timberland. Value of property is in the land. Woodstove heats the interior. New septic tank installed 2018. Drain field to be installed." "Check out this direct waterfront property-Victor Point farm which features over 700 ft of your own shore lined beach! 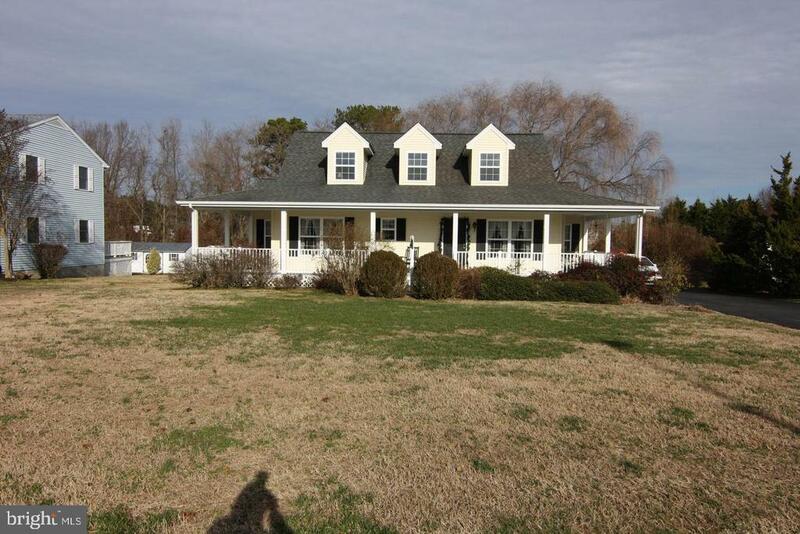 Unobstructed views of the Wicomico river.Extremely private location located in the middle of a wildlife preservation area -adjoined to marsh and wetlands. 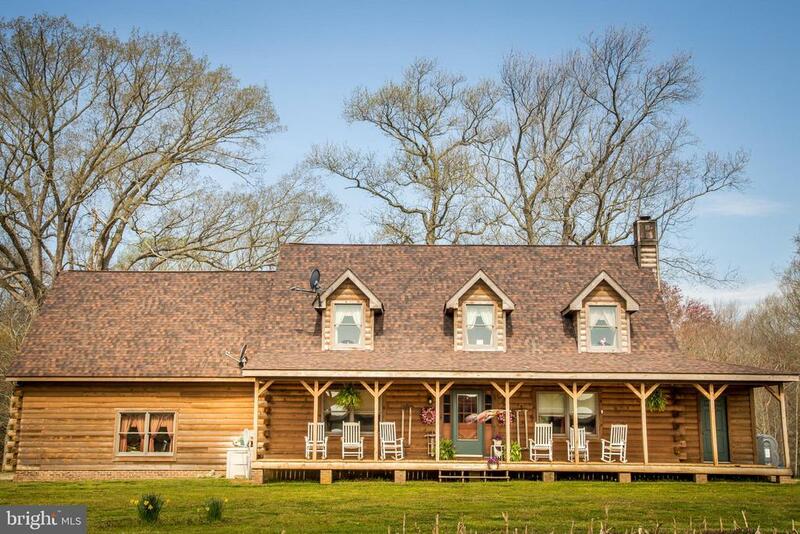 Private location but not isolated- the property features a renovated farmhouse , nestled on over 13 acres! Enjoy hunting, fishing, and all waterfront living has to offer on your own property. 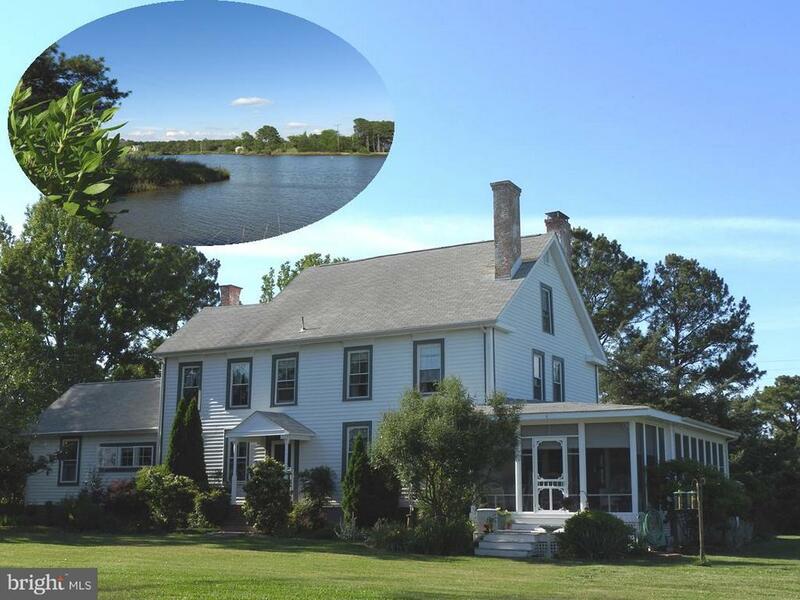 Tidal ponds on the property -hunt and fish in your own backyard. Enjoy waterfront views from your screen in porch, and in many rooms in the home-this is a must see to appreciate ! Can be sold furnished. Central location although private-45 minutes to Ocean City, 25 minutes to Salisbury, 10 plus golf courses in 50 mile radius." "This magnificent house has been lovingly restored with numerous upgrades and a first floor master bedroom addition with a full bath & walk-in closet. There are gleaming wood plank floors throughout, beautiful mill work, Rinnai tankless water heater, custom spice & knife drawer organizer & unique tin ceiling in the kitchen including granite & corian counters, SS appliances. Enjoy relaxing in the waterside sunroom with beautiful views of St. Peters Creek. The third floor with rough-in bathroom is for your imagination....... Let's not forget the cozy gazebo, the fenced vegetable garden & potting shed, two detached (2 bay) garages ~ one with steps to a 2nd floor storage area and a private pier situated on 2 acres. Shows great....and yes...you can have it all!! Approx. 15 minutes off Rt. 13, Princess Anne, 1 hour to Ocean City and just a few hours from Washington and Baltimore." 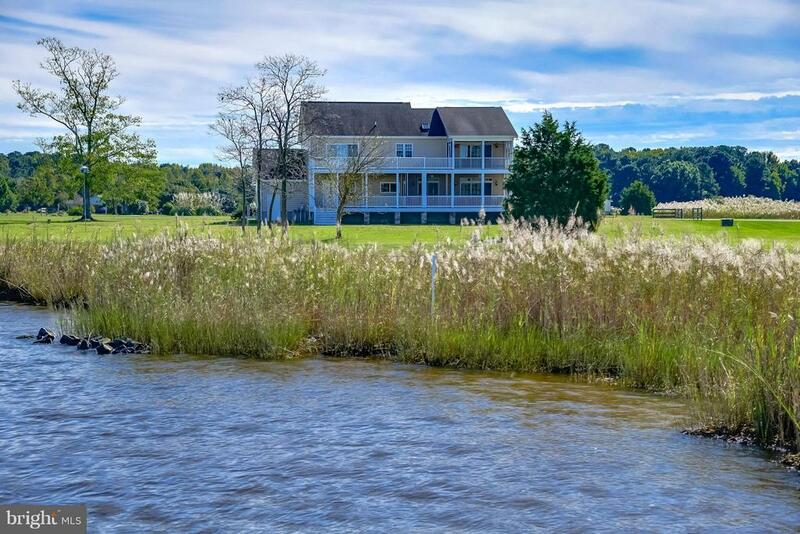 "Waterfront Contemporary on 2.39 acres with sweeping views of the Wicomico River. This 4 bedroom home was built in 2006 and has recent updates including quartz counter tops in the kitchen! 4 lot community pier with private boat slip for a large boat. Just a few hours from DC and Baltimore metro area and 1 hour to Ocean City and Assateague Island. Come get a piece of the good life!" "Immaculate custom built home with its own deeded boat slip and access to community dock/pier! This property is a must see nestled on almost 5 acres with an attached 2 car garage and a separate 2 car garage/workshop. Enjoy you private backyard oasis with a large in ground pool surrounded by custom paver's. Dream-gourmet kitchen, custom built ins throughout, first floor master-high ceilings, second floor loft are, custom stone accents on the exterior and so much more! Master bedroom features it's own screened porch, California closet, and separate shower/soaking tub. Hardwood and tile flooring throughout, to many amenities to list, this is a must see! All of this with your own private pier and dock!" "A beautiful 4 bedroom, 2.5 bath home located along the river. This immaculate home sits in the luxurious waterfront community of Covington Cove. The home has many great features including a brick front, tankless water heater, brick patio, huge walk-in closets, jacuzzi tub, double oven, and much much more. With the community boat slip next door, this home is also great for those who love the water! Schedule your private tour today!" "TO BE BUILT! New construction on St Peters Creek featuring tank-less hot water heater, Stainless steel appliances, walk in closets, and many other upgrades you don't normally see in new construction! Pictures are of similar home, large deck and basement/storage area under home is planned." "Treasures of the Chesapeake come to us in so many ways...This historic Victorian home situated on two beautiful lots, totaling 1.35 acres, comes complete with perennial/vegetable gardens, flowering trees, detached two car garage, gazebo, and boasts every amenity you could dream of...from the gorgeous pocket doors, to the perfectly finished hardwood floors and exquisite trim and built-ins, a bright spacious kitchen, five bedrooms, including a master suite complete with fireplace, living room, library with fireplace, formal dining room, and two full bathrooms, one featuring a claw-foot tub. This home also boasts two additional finished rooms that can be utilized as extra bedrooms, office space or game rooms. With a second private entrance, second floor screened in porch and its central location of walking distance to shops, post office, library, restaurants, universities and minutes to major highways and waterways, this home offers a great deal more than its exquisite Victorian charm." 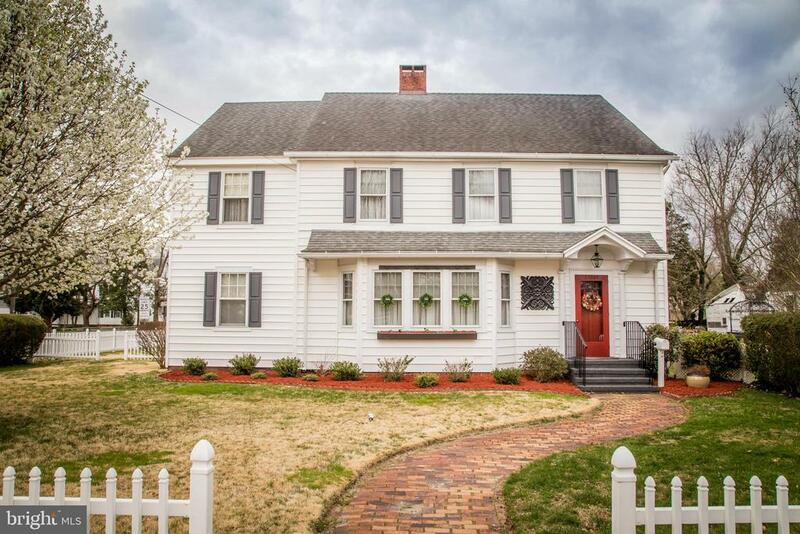 "You'll adore all of the character and charm of this 3 Bedroom, 4 Bathroom Colonial home. At 2,603 sq ft, you have the freedom to spread out or you can cozy up next to the wood burning fireplace. This traditional floor plan delivers a welcoming living room and a charming family room both with built-in bookshelves. Additionally, it offers an elegant dining room with lovely french doors. Make your way to the kitchen to find beautiful updated granite counters, white cabinets and an informal dining/breakfast area. The first level also offers a full bathroom, and access to the partially finished, walk- out basement. All 3 bedrooms can be located on the second level along with the laundry room. The spacious master bedroom features an attached bathroom, and two closets! Adjacent to the master is another bedroom that features built-in shelving, an attached bathroom and a walk-in closet as well! If those closets weren't enough, this property also has plenty of room for storage in the floored attic with permanent stairs. Upgrades include the plumbing, a new furnace (2011), and the central air (2014). Sitting on a .22 acre corner fenced in lot with pergola and detached garage this property is the perfect mix between traditional and charming with modern upgrades!" 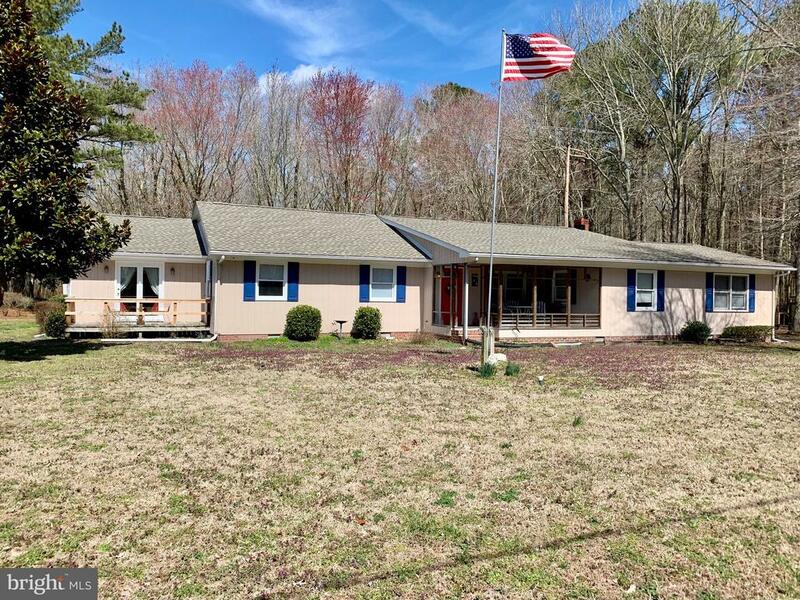 "Country location, near Salisbury and Princess Anne, over 2 acres, room for horses, detached two car garage, and a home that was completely renovated in 2017. 3 bedrooms, large family room with fireplace, 3 full baths, heat pump, water softener. If you want space and privacy, take a look!" "A GEM IN THE HISTORIC DISTRICT! PRICE DRAMATICALLY REDUCED! Nestled in the Heart of Princess Anne's Historic District is the John Holland House, circa 1902. This 2,392 sq.ft. Classic Victorian is 2 Blocks from Downtown Shops and Eateries and has been Meticulously Updated while keeping it's Historical Charm. The Welcoming Wrap-Around Porch offers Solitude and a Private Side Eating Area. The Interior offers 3 Bedrooms and 2 Full Bathrooms. There are Hardwoods Throughout the House and the Living and Dining Rooms have the Original Pocket Doors. The Original Overhead Light Fixtures were Refinished and the Stained Glass Windows Diffuse the Intensity of the Morning Sunlight. The Slate Roof has been Meticulously Maintained. The House has been Updated with Central Heat and Air Conditioning Throughout. There is a Huge Walk-Up Attic with Storage Galore and a Partial Basement for Additional Storage. The Detached Garage and Carport originally housed Carriages and there is a Large Floored Open Space above the Garage that would be Perfect for an Office or Craft Room. The Front and Back Yards have an Underground Sprinkler System that Nourish the Lawn as well as the English Gardens. SELLER IS OFFERING A 1 YEAR AHS HOME OWNERS WARRANTY FOR BUYERS PEACE OF MIND. 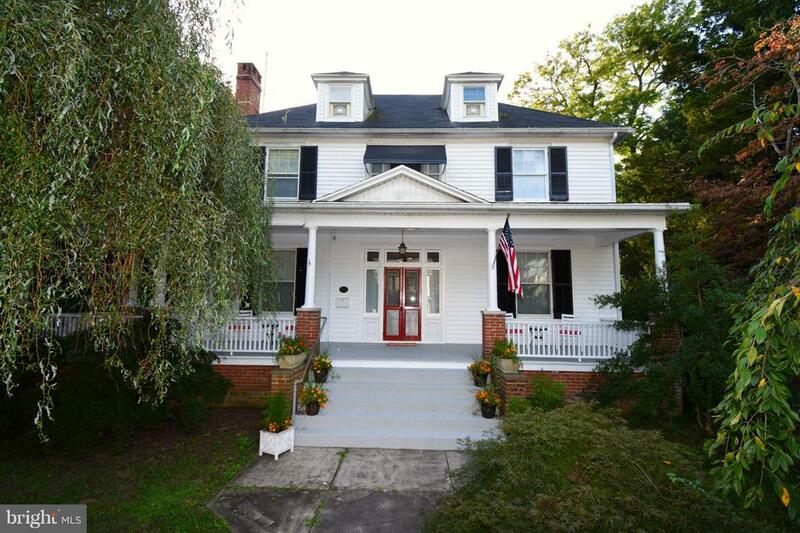 Let the History and Charm of this Updated Victorian Spoil You, YOU DESERVE IT!" 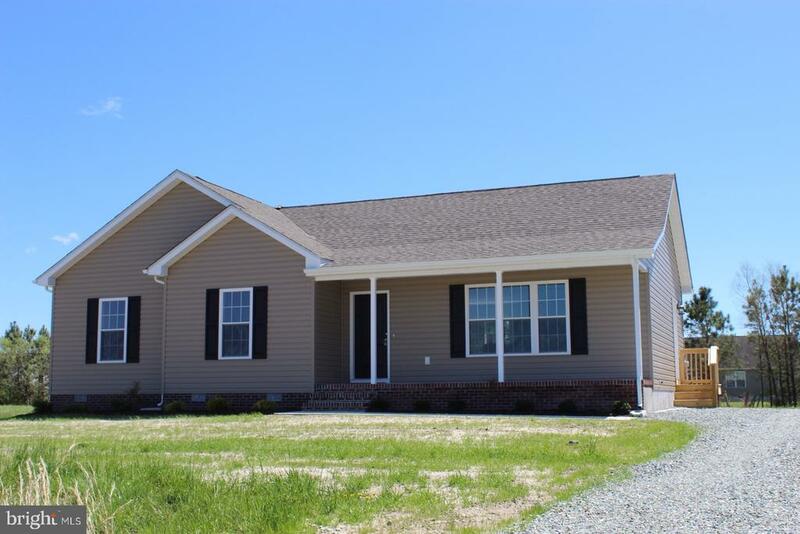 "Check out this 2,188 sq ft, 4 bedroom, 2 bathroom rancher with a bonus room! Located in Wildwood Manor, and situated on a beautiful, wooded, 3 acre lot, this home boasts a fairly recent addition that includes a 2 car attached garage, a master suite with double closets, and a huge office/ mud room. The home also features a sunroom with a deck facing the huge back yard along with three more, large bedrooms. The large bonus room off of the kitchen could easily be used as a formal dining room or game room." 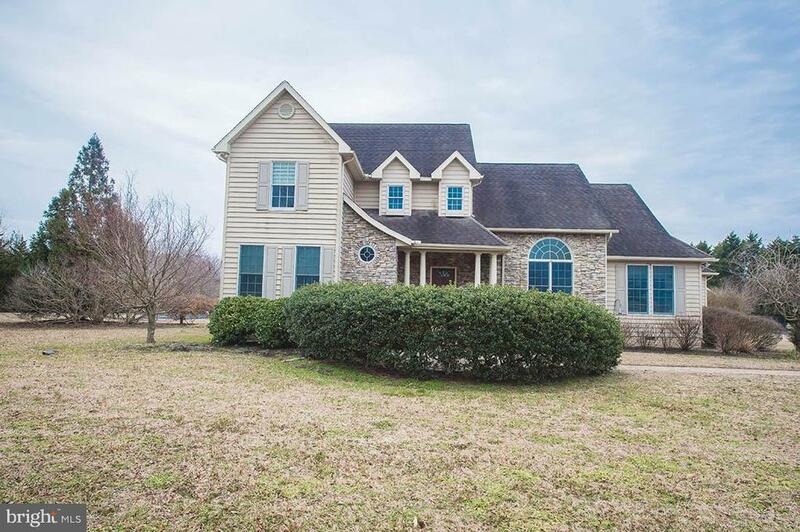 "Beautiful 1,232 sq ft property on the Saint Peters Creek! 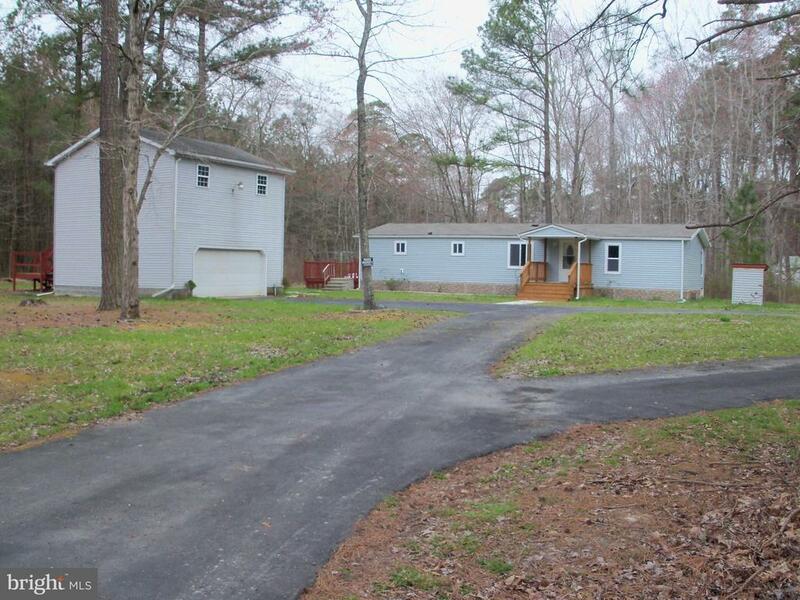 Recent upgrades to this home includes a new heat pump, and a brand new septic and drain field. Additionally, the crawl space has new plastic and insulation! This 2 bedroom, 2 bathroom home is just walking distance to the marina which has boat ramps!" 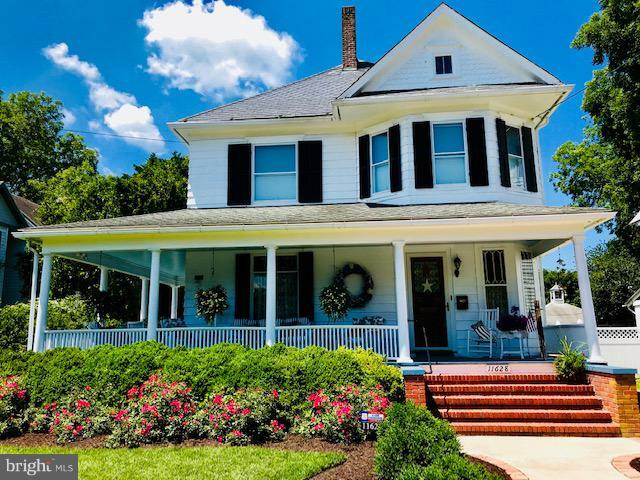 "~Every spirit builds itself a house; and beyond its house, a world.~ (Ralph Waldo Emerson) Come see your world in this enchanting, cape-cod; situated in a quiet, pristine community in Princess Anne, MD! This move-in ready, 3-bedroom, 2-bathroom cottage makes for a perfect retirement home or an exciting starter! Features include a 2-story living room, loft, hardwood floors and farmhouse style blue and white kitchen with breakfast bar. Neutral colors and natural sunlight sparkle throughout this home. Outside, the sights and sounds of nature are bountiful! Enjoy the beauty of the flower gardens, butterfly bushes, and hydrangeas. Wake to the sounds of whippoorwills and bobwhites. Find tranquility in the meditation/prayer garden. Sip your morning coffee or host your summer party on the vast wrap-around porch! Hit the beaches or the books. A jaunt to Maryland beaches or Chincoteague, Virginia is only a 30-minute drive. 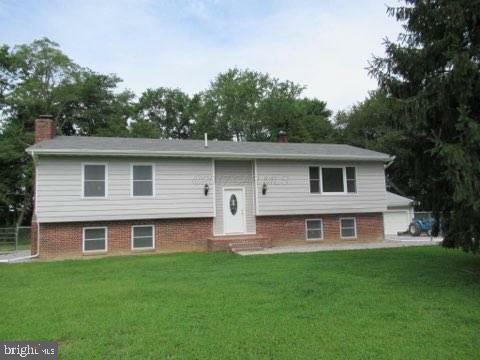 Close to local colleges - University of Maryland Eastern Shore and Salisbury University. This home is truly where your heart will be ~ come visit to see!" 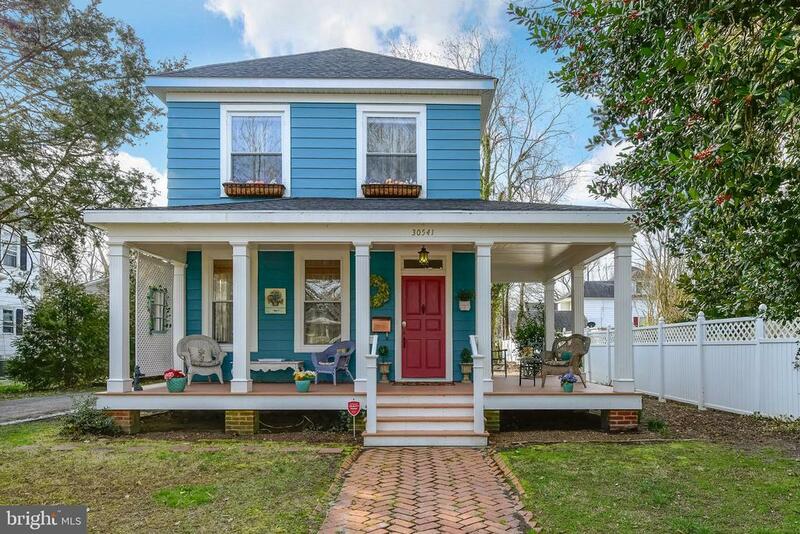 "An extraordinary blend of sophisticated updates and vintage charm combine in this fully-refurbished 3-bedroom 1.5 bath Greek Revival home in the Princess Anne Historic District. Designed and built in 1910 by Austrian immigrant Rudolph Cohn, owner of Cohn and Bok Lumber Mills-- the home features ultra-high, nine-foot ceilings and large crown moldings, a semi-open floor plan with very spacious rooms and a delightfully large Tuscan-styled kitchen overlooking a private back yard with original cottage-style storage/garden building. Newly-restored front (263 sq. ft-26 ft long) and rear (112 sq. ft-16 ft long) columned porches create elegant outdoor spaces for entertaining or relaxing. This well-built home features large insulated windows that flip inward for easy cleaning, new central air system (2019), updated electric and plumbing, updated kitchen and baths with ceramic tile, original wood floors throughout, updated high-efficiency heating system, fresh exterior paint (oct. 2018), new fascia and soffits (oct. 2018), and brand new roof with attic vents (oct 2018 with a 20-year transferable warranty). Tree-lined driveway and rear parking." "JUST REDUCED $10K!!! Sit back and relax on your own slice of paradise. Situated on a 1 acre corner lot, this sprawling 2800+ sqft rancher has so much to offer. A chef's kitchen complete with stainless steel appliances and solid-wood cabinetry opens into a large living/family room area with chimney for wood stove. Off the family room is a spacious in-law suite with separate living area, kitchen, bath and bedroom. The master suite boasts a private sitting deck with French doors and the master bath features whirlpool tub, granite vanity, and walk-in shower. A second master suite / media room also features its own private bath with walk-in shower. Head outside and enjoy the peaceful environment on your back deck, front covered porch with ceiling fan, or the pond deck. The garage/workshop includes a large storage area and separate heated workshop. There are also four carport bays to protect your vehicles and other valuable equipment from the weather. Located less than 1 mile from public boat ramp and park!! Don~t miss this one-of-a-kind home. Schedule your showing today!" "Construction has just been completed on this beautiful home built by Keystone Builders! The home features an open floorplan, kitchen with SS appliances, granite, tile backsplash and breakfast bar, bright living room, master with his and hers closets and attached bathroom with tile shower, front porch, back deck, and 2x6 exterior walls with spray foam insulation! Call me today to make this beautiful home yours!" "This home was remodeled in 2018,with stainless steel appliances,refinished hardwood floors,and fresh paint throughout the home,as well as some new windows. New Hvac system has been installed." "Do not miss the opportunity to continue the renovations on this diamond in the rough! All of the major renovations have been completed. It just needs your final touches! Electric rewired in 2017, roof repaired 2017, new central air/forced air heat in 2017, new bathroom fixtures, new support beams in flooring, new water heater, newly renovated kitchen with brand new unused appliances." "Spectacular 3 BR 2Bath modular home on 3.23 acwith extra large 2 car garage. 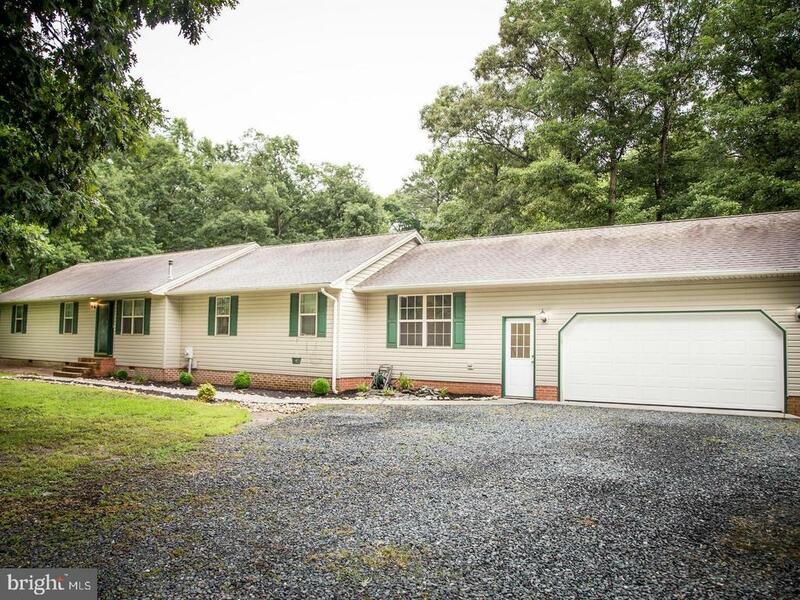 Home has been completely remodeled with new roof,siding,stainless steel appliances (refrig,stove,dishwasher)carpet,new bathrooms & CAC.Large 12x50 deck for grilling and leisure.Black topped circular driveway.Property is very close t U.of Md. Eastern Shore,Salisbury U. historic Princess Anne, and Apprx. 10 miles from salisbury with shopping,hospital,Salisbury Univ.Zoo. and much more."